See how the Lucidchart Sales Solution can help you save time and tell your product story. 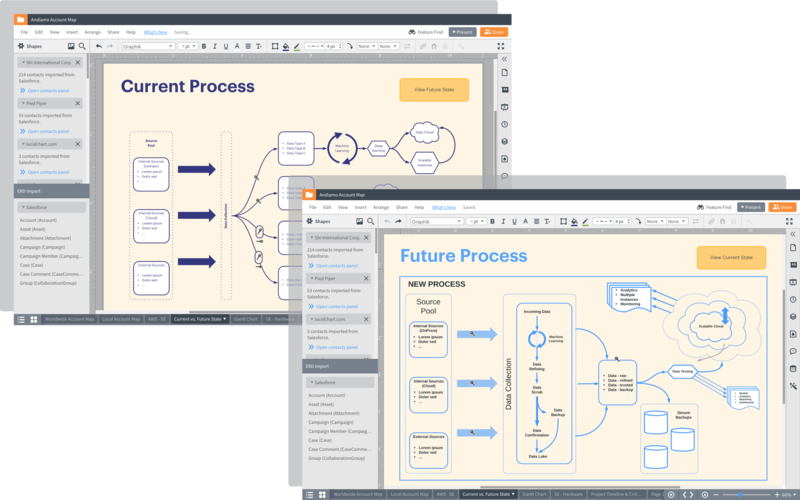 Lucidchart allows you to create professional diagrams that tell a powerful story about your product’s benefits. You can map out current processes with prospects in real time and then use layers and interactive buttons to easily show the added value between the current state and the future state you’re proposing. Create your own templates, custom shapes, and custom shape libraries to share across your entire team, using shared folders and integrations with Slack, Confluence, and other popular apps. Lucidchart becomes a repository for fellow sales engineers and teams implementing solutions after the deal is closed. With our powerful integrations, you can deliver visuals in the format your clients prefer. 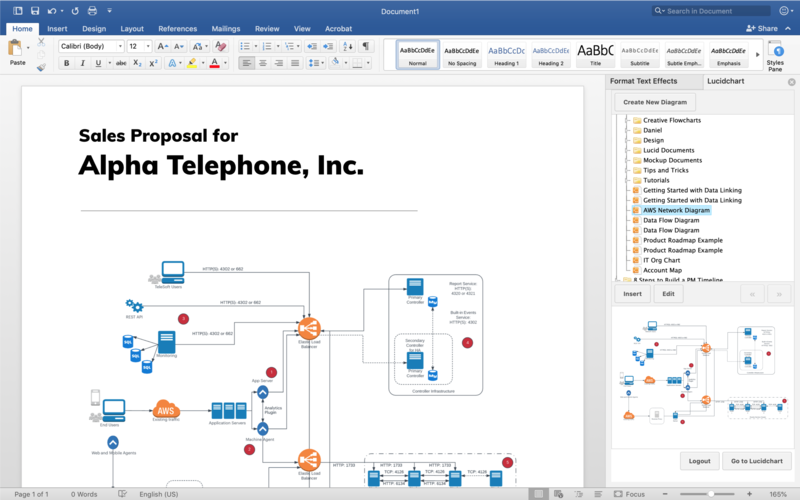 Use our G Suite and Microsoft Office integrations to easily embed diagrams into your documents or presentations. As proposals change, you can even update your diagrams directly within the application. 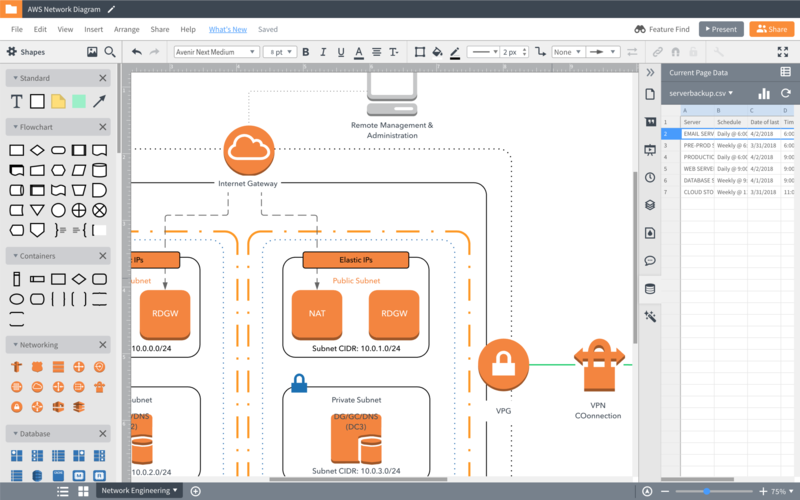 Save even more time when you automatically visualize ERDs, AWS infrastructure, and UML diagrams in Lucidchart. Our import features turn your data into diagrams that are easy to understand and consume, and data linking provides clarity and visual context to complex solutions. 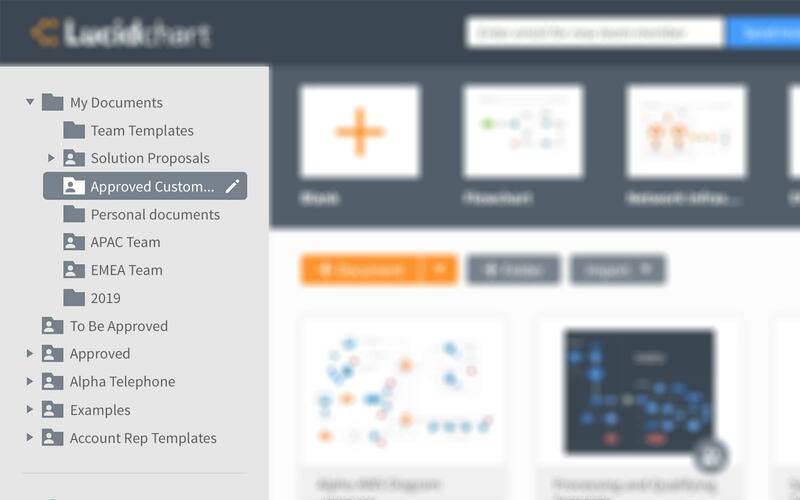 Lucidchart diagrams inspire confidence with the customer. Remove that element of confusion, and people feel better about their decision.